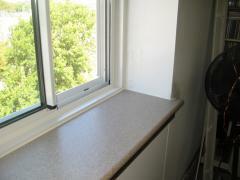 HI-MACS® window sills are an increasingly popular alternative to CORIAN®. Made by LGHausys, HI-MACS® products provide the same benefits and durability as CORIAN® at substantial savings. In addition, HI-MACS® comes in a wide range of unique colors. Window Sills Direct makes custom HI-MACS window sills even more affordable. Unlike most providers, we don’t penalize small orders. If you need a number of sills, we can still save you money — we offer batch and contractor discounts and a range of shipping alternatives. 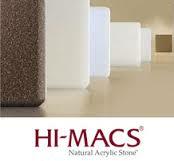 Check out the standard HI-MACS® colors we carry. If you require one of their many other colors, we can special order. Check out our Shop page for prices per square foot. For exact pricing of your project, click on your color and fill in the dimensions. Shipping costs are available in the shopping cart. Still have questions? Call and talk to us. We know solid surface sills.